There is no doubt that the Aerosoft/Simwings EGLL- London Heathrow is great scenery and the highlight feature is the excellent airport vehicle animations, set out also is the default X-Plane Traffic that surrounds the airport. So you have a lot of movement and a great visual impact with these X-Plane features, but there is still a significant visual aspect missing... Aircraft. Or to be more precise aircraft movements around the airport. 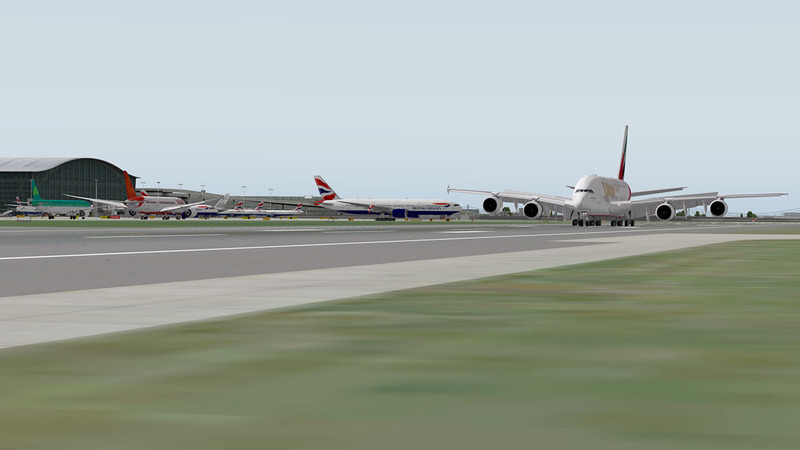 Certainly to bring Heathrow really alive you would need this visual point of view catered for and there is a solution, World Traffic by Classic Jet Simulations. The World Traffic (WT) plugin was released in early 2013, by Greg Hofer of Classic Jet Simulations and is a concept by Francesco Missarino of Aircraft3D. Now don't get it wrong in the fact that to create something as complex as an airport traffic solution is always going to be a hard task. This is reinforced by the current default A.I. 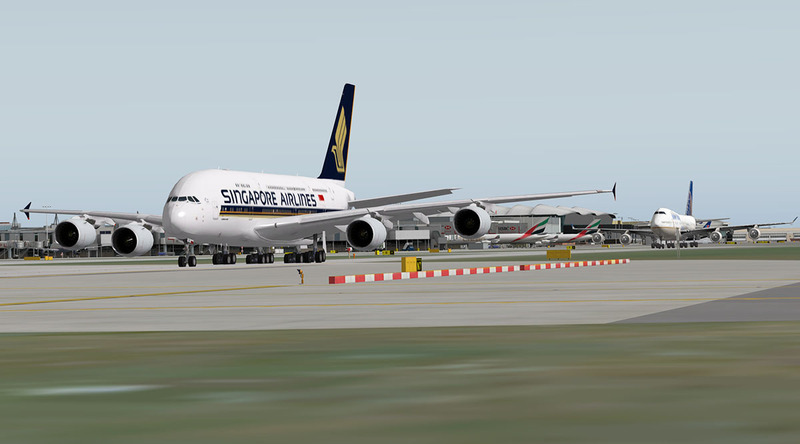 aircraft as part as the X-Plane simulator. Does it work? no not really, it is actually a bit of a mess if you really want to be honest about it. But the real issue is that this is still very complex system to create and just getting something like this to actually work was always going to be difficult, and certainly with the early release versions were a bit full of say... growing pains. But the basic ideas behind the plugin were correct. 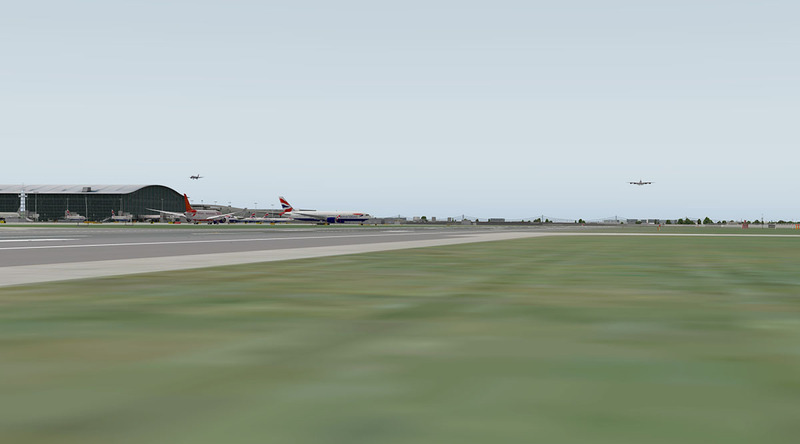 In April 2015 Classic Jet Simulations released an update (actually two) in v1.2.3 (details are set out below) and version v2 is due any day, but the advantage now with World Traffic is that importantly it now has a lot of downloads available that can actually make it work, which were simply not available when the plugin system was released. A lot of accolades have to be laid at the feet of "Bluebell" and to a lesser point "letecxplm" for their excellent contribution to the plugin and without their work I doubt the World Traffic idea would now work as well as it does. Bluebell's conversions of v8 FS A.I. aircraft is the backbone of the system, and there are lots of routes to pick from. This is not a review or a tutorial, but I will do another post later to go deeper into the plugin and how to expand it yourself. Here we will just install it and get it up and running and see the benefits on what it currently gives you with the least amount of effort. Ground Routes : Departures covers the route from the gate to the runway, Routes (In the air) covers the flight portion from which airport to which airport, and finally Ground Routes : Arrivals covers the last leg from the runway to the gate. In its simplicity it is very powerful and extremely flexible. If you remember this set up it makes it easier to install and use World Traffic. You can create the actual routes yourself, but there is an excellent random Route Generator built in to the plugin that will save you a lot of time and work. The awkward part of WT is the ground routes, as because every airport layout is different and every ground route aircraft take to the start of the runway is different (known as flows) then they can't be quickly randomly created, they have to all be done manually. (Chopinet is creating and auto one though called the AGRE - Windows only). A savior is a "Ground Routes Recorder 1.1" by Massimo68 (You need Python to run it) and this great tool allows you to taxi your aircraft and easily record your taxi route as you go from the gate to the runway, so creating these complex flow routes can be quite easy after you get the hang of the recorder. 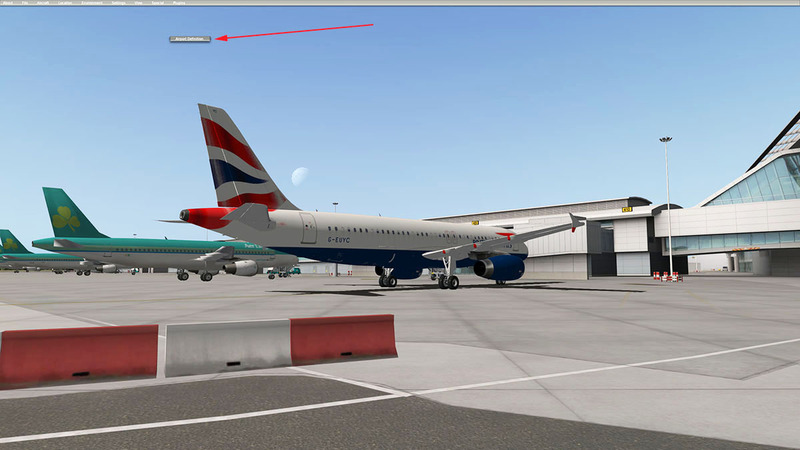 You can try out World Traffic by using a Demo version that covers the X-Plane Default area of KSEA - Seattle, but to run WT in its full capacity you need a key (after purchase) that you install within the plugin to make it work. World Traffic is a little complex to install, so we will cover that first. Download the WT Package and the folders have to be split up to two destinations in X-Plane. 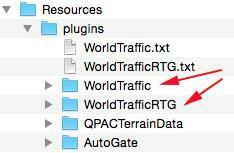 The WorldTraffic (Plugin) and WorldTrafficRTG or Random Traffic Generator (Plugin) are deposited in your X-Plane/Resources/Plugin folders. 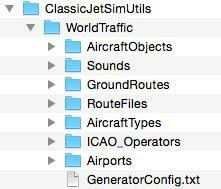 The "ClassicJetSimUtils: folder goes into your main X-Plane folder. Note the apt.dat file in the download folder... If you use the demo version of WT then you will find the tower view of KSEA is quite awful. so this file if you replace this apt.dat file with the current one in the X-Plane Demo Area (In your Custom Scenery folder) - Earth nav data folder it will give you a better view from the tower. Nice to do anyway. If you run X-Plane then absolutely nothing will happen! Yes the plugin is actually now running but it has nothing to work with... But first a little more of set up is required. 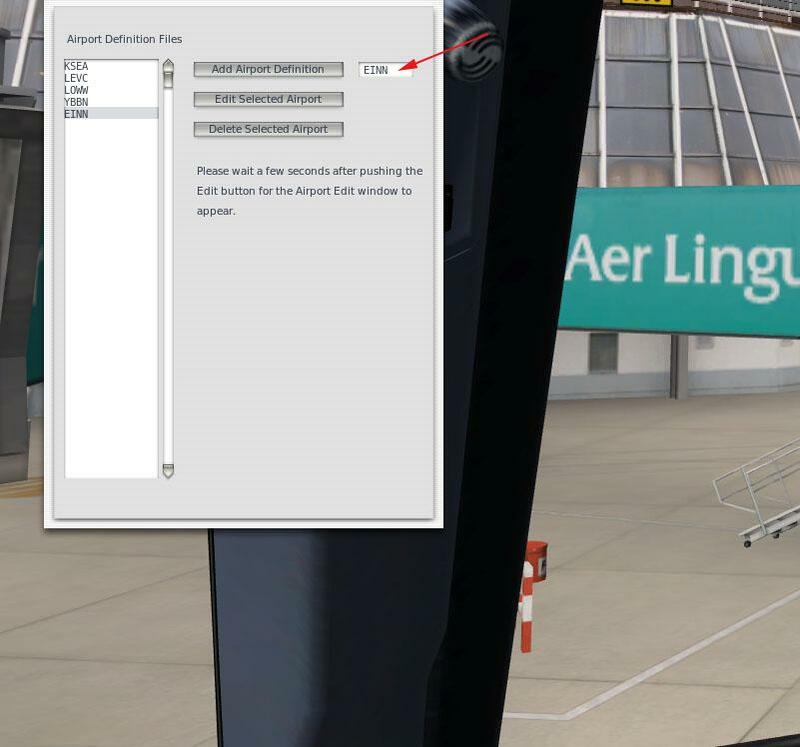 To operate the plugin within X-Plane you need to set up a navigation set of keyboard key inputs. My keyboard input is set out like this because I have different areas on my keyboard set out to do different functions... You assign your keys from the cjs list in the "custom cnmds from plugin" list at the top right of your Joystick & Equipment/Keys menu. Select and set up your keys to operate the plugin, and two inputs are important to note. One is the command_menu and command_menu_goto_previous. It is important that you have these two keys together and handy to operate, because they are your main navigation keys in the simulator, even note them or mark them so they stand out. I also note the Resynch Key and I recommend to not have it near any of the others were it can be mistaken and pressed... It will reset the WorldTraffic that is running, right back to the start and ruin all your hard work. I kept the ATC key separate as well and handy on the left of my keyboard (A). Everything you need is here, but let us look at what you are downloading and what to look for? 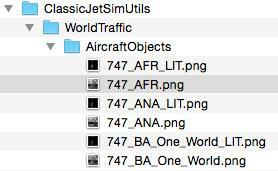 These files are your aircraft in the plugin, and usually come in three files - 747_BA_One_World.png (day textures and livery) - 747_BA_One_World_LIT.png (night textures) - 747_BA_One_World.obj (Main Aircraft object). and you have to have at least one texture and one .obj file (with the same name) for the aircraft to work. 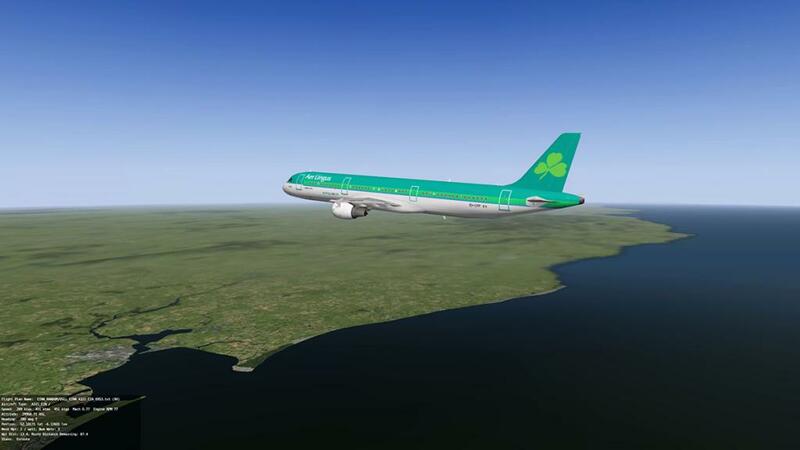 Bluebell and other users have converted full sets (52) of aircraft and liveries to download on the WT pages on the X-Plane.Org and then you need to insert the aircraft files into this AircraftObjects folder. The plugin tells the X-Plane Simulator on how to fly the aircraft correctly by the specifications noted in the "AircraftType.txt" files. It notes the type, weight, speed... And comes with every aircraft download. 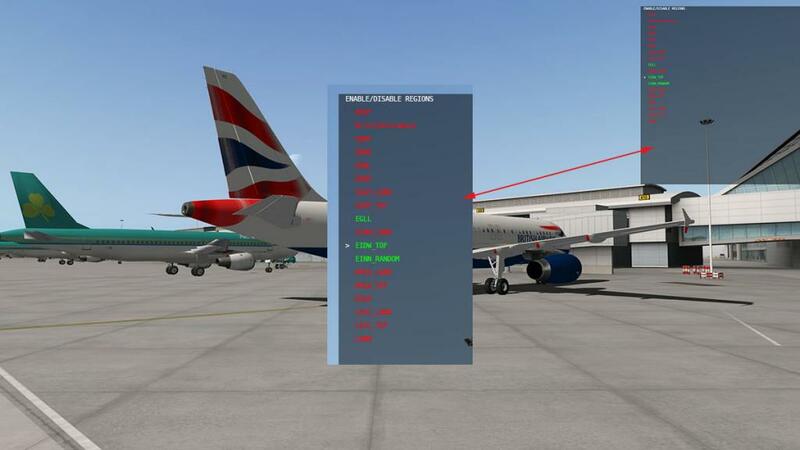 This txt flie is deposited in the AircraftTypes folder and not with the texture and .Obj files which go in the above AircraftObjects folder. 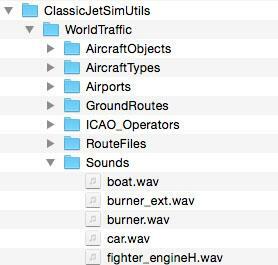 There are full sets of sounds to add to the plugin to make it sound realistic on the ground and in the air, you don't have to add to this folder. Airports are listed by their Airport ICAO code for Departures and Arrivals. 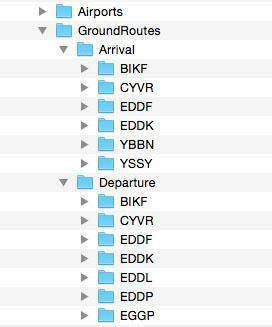 But you can name these folder's routes anyway you want to to represent an area or an airport. And the GroundRoutes are defined by a txt file. 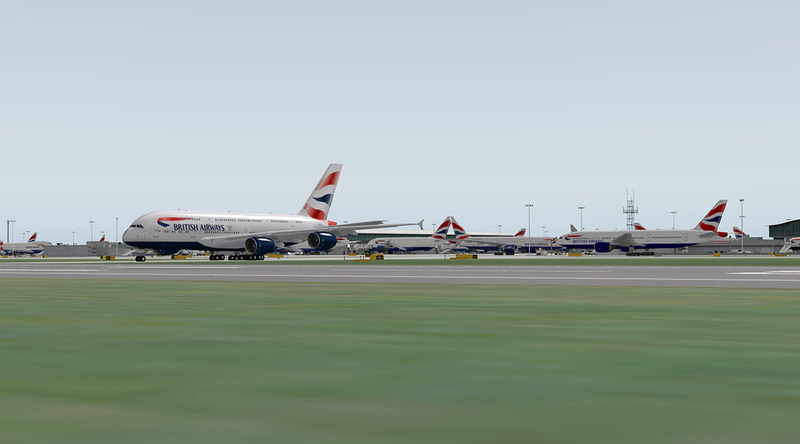 There are GroundRoutes (75) available to download on the WT pages on the X-Plane.Org and you need to insert them into their respective "Arrival" and "Departure" Folders. Your routes are from runway to runway from ICAO Airport to ICAO Airport. The routes are the "in the air" segment of the the plugin, and note the departure and arrival airports and the waypoints the aircraft must follow for that route. In most cases it is a straight line from airport to airport, but in many cases the route can be tailored to be identical to a real world route. 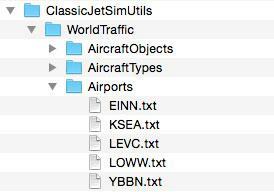 If "RANDOM" has added next to the Airport ICAO file (EINN_RANDOM), then the files were created by the in built WT Route Generator. 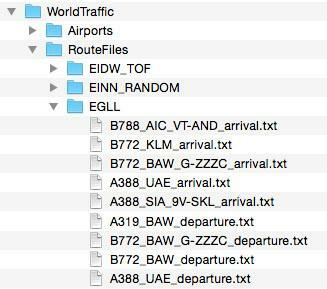 The routes (folders) are noted by their Departure Airport or ICAO code. 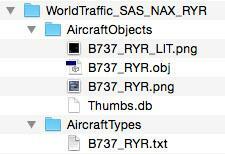 There are already completed World Traffic Route Plans (44) available to download on the WT pages on the X-Plane.Org and you need to insert them into this RouteFiles folder. But the WT Route Generator is a quicker way to create the plans you need to use. 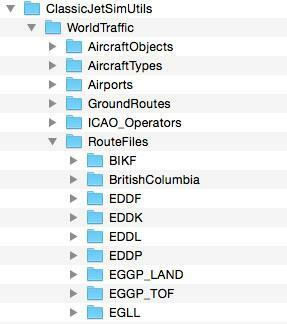 This is a list of airline operators and their ICAO code that is used by the plugin. They should be all listed in here so you don't need to add anything, unless it is a new airline or an airline's change of code, which is very rare but it does happen with mergers. This is a list of airports that are active in the plugin. It notes that particular airport's data for the plugin to use. And lists the airports connected to the airport, the airlines that fly from there (and their frequency) and the types of aircraft that use the field, it also notes the airports time zone in relation to -zulu. It is certainly worthwhile knowing how the files are stored within the folders in case you need to make changes. 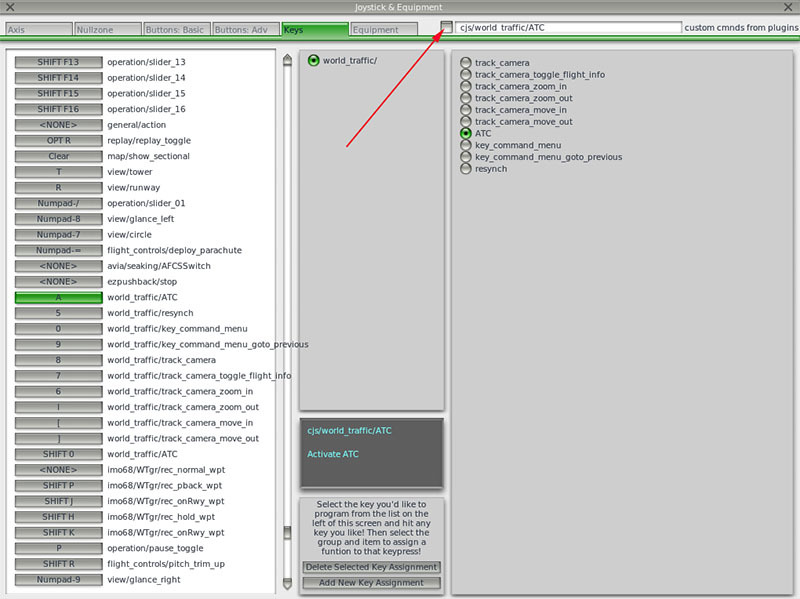 It is really quite easy once you understand the layout as it is reflected in the way the plugin works in the simulator. Run X-Plane as you usually do, and to note that the World Traffic plugin is running and registered is a panel on the left lower of your screen. It will disappear once the plugin has set out the aircraft and routes. The more routes and aircraft you load then the longer it takes to startup, and that also included the usual X-Plane startup as well as there is a lot more to load into the simulator. Number one question will be how much does affect my X-Plane frame-Rate, well if you fill your routes to the brim with everything, then it is going to slow you down. But in reality if you keep your regions just to a set of areas that covers your flying areas (that is what it is there for) then the Frame-Rate hit is almost negligible at around only 3 to 4 frames, and considering the amount of movement and objects working on your screen, you could say you were very impressed on how much it does not interfere with the main simulator. There are actually two menus you work within WT. The main one is the "Key Command" Menu. This is accessed by the way you set up your "Key" assignment earlier with "command_menu". So to activate the menu then press your assigned key, which in my case is "O" the menu does slightly overide X-Plane so you lose a few movement functions. To move up and down the menu you use your UP and DOWN keys and RETURN to activate the menu option, to go backwards or turn the menu screen off, you use the other set Key "command_menu_goto_previous" or in my case "9" so between these two keys and your Return key it very easy to navigate the menus. • Flight Plan Name – Name of the file including the sub-folder name which can be found in the ClassicJetSimUtils/WorldTraffic/RouteFiles folder. • Speed – Speed of the aircraft in indicated airspeed, true airspeed, ground speed, and Mach. 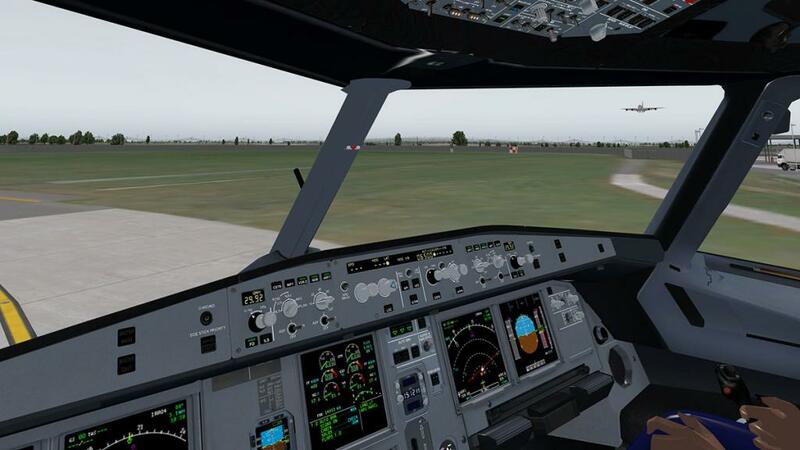 • Heading – Heading of the aircraft in degrees true. • Position – Position of the aircraft in latitude/longitude decimal coordinates. • Waypoint Info – The last waypoint in the waypoint list that the plane has passed. The waypoint list will either be the flight plan, the ground route file, or intermediate waypoint lists the plane is given for approach waypoints, takeoff waypoints, holding pattern waypoints, or overshoot pattern waypoints. • Waypoint Distance – The distance in Nm to the next waypoint. on the ground it also notes if the aircraft is - Parked - Pushback - Taxi to (runway) - Enroute. You can see the actual aircraft using the other assigned keys, Using the assigned "Track_Camera" Key WT will rotate through all the current active aircraft and you can - or + and have other camera movements. 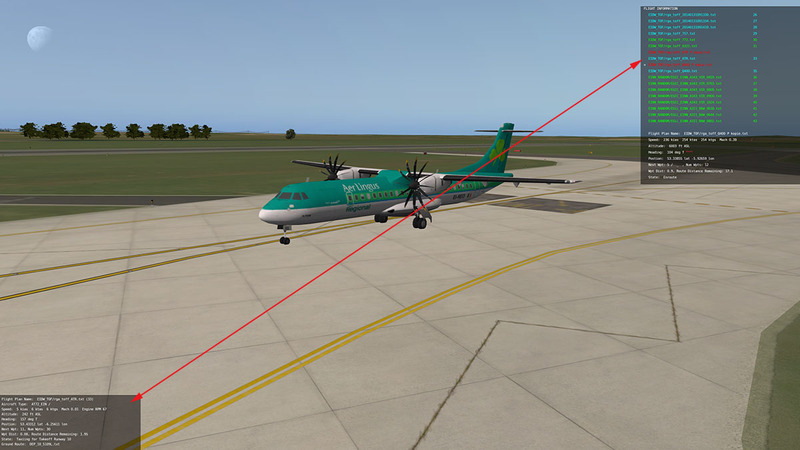 Or use your mouse to free move the aircraft around on its axis. The quality of the aircraft are extremely good, and fully working with rotating propellers (realistic ones), moving flaps, lights, airbrakes and opening engine reverser doors. You can follow the aircraft right through the route and note its position relative to the airport it has departed or arriving too. You can Enable or Disable Regions. This allows you to set up not only different areas or airports, but also different traffic patterns to certain airports (like departures or Arrivals). This can as noted control the amount of Frame-Rate usage, but why use areas that are not even close by, or the other side of the world? It is a waste of processing power for no gain. So this is a very useful tool. Green is an active region and Red is a not active region. You can set different WT preferences by the "Preferences" selection. 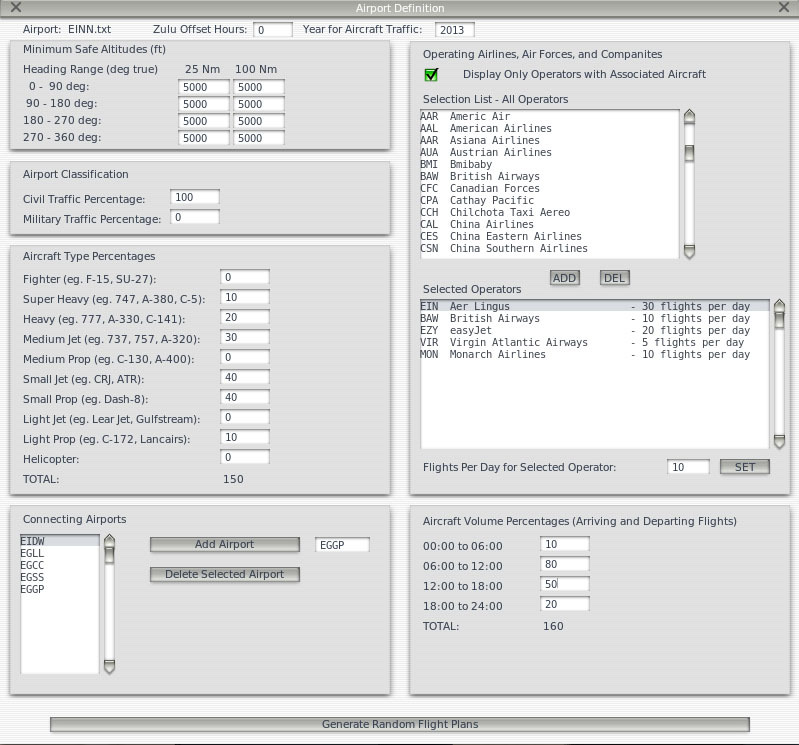 • Display All Loaded Flight Plans – All flight plans are displayed including ones for planes not yet loaded or for parked aircraft as well as for aircraft in flight. • Show Flight Plans for Active Aircraft – Flight plans are displayed only for aircraft moving in the air or on the ground. • Show Flight Plans for Active Aircraft Nearby – Flight plans are displayed only for aircraft moving in the air or on the ground that are near by. You can resync or reset World Traffic to the current time. 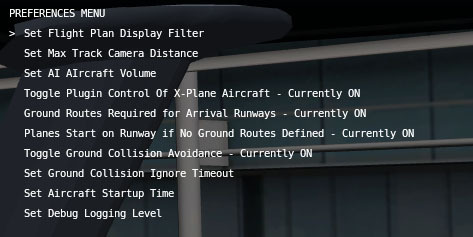 Like the Key input it will set right back at the start of your flight, but this is also a good option if you have to restart or redo a certain point in your simulation, just set the time to were you want to restart. But I can also cause those Moments!.... "awwww ffu, I have lost everything!". Pressing these menu selections will bring up a panel to create random routes from one ICAO airport to another ICAO Airport. Pressing Edit will bring up the Route Generator panel which is a powerful tool. Across the top bar is the "zulu" offset amount of your airport and "Year for Air Traffic" is to set operating year ranges, which allows you to set eras like WWII planes set in the year 1942. Minimum Safe Altitudes (MSA) : allows you to set the minimum altitudes allowed at certain airports. Airport Classification : Is used to determine if an airport is a military airport or a civil airport or a mixture of both via their percentages. Connecting Airports : This will set up the many routes listed and create random connecting routes out from this departure airport (EINN). Flights that are one-way are split evenly between either originating from the home airport and flying to the connecting airport, or originating from the connecting airport and flying back to the home airport. Operating Airlines, Air Forces, and Companies : This is to define the operators or Air Forces that you want to use on the randomly created routes, It allows you to set a geographical area of airlines or air forces that define that place... i.e South East Asia - WSSS (Singapore) can be SIA - Singapore Airlines, CPA - Cathay Pacific and THA - Thai Airlines and set the Flights Per Day you want to use with that operator. Aircraft Volume Percentages : Note: These values are local (X-Plane) time, not Zulu time. This allows you to set the percentage of traffic volume at the designated airport to certain peak or low periods. So if you require a busy morning and a quiet afternoon of arrivals and departures, then you can adjust that here. When you have completed the Route Generator, you then press "Generate Random Flight Plans" for the plugin to insert the new plans into the RouteFile folder and they are noted as - "EINN_RANDOM" or airport_random (files). 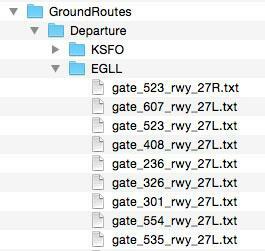 As noted the RTG only creates the routes between the airports and not the ground routes, but if you select airports with ground routes that are completed and stored in the GroundRoutes folders then the aircraft will go gate to gate on the category of that certain type of aircraft. The new random flightplans however will not be listed on your "Flightplan Display" unless you do a "Resync" or restart X-Plane. As you will note WorldTraffic makes for a very powerful but very flexible route system that covers the airports and routes you fly to and from. World Traffic is even more versatile than this as it now has a basic ATC system built in as well and it can accept even Military aircraft, General Aviation, Helicopters and can do FlightTypes by both Civilian and Military Tactical flights. You can fix this by changing the start time to be more realistic and even match real departure times at the airport. Say your current time is 10.30am, then open the route you want to fix in "RouteFiles" and change the -1 to a current time. or to the departure time you want. In this case 10.37 and save the route (txt). Change another route to 10.39 and another to 10.42. this way you will create a more realistic timing system as aircraft leave and arrive over a period of time and not just at one point of time. 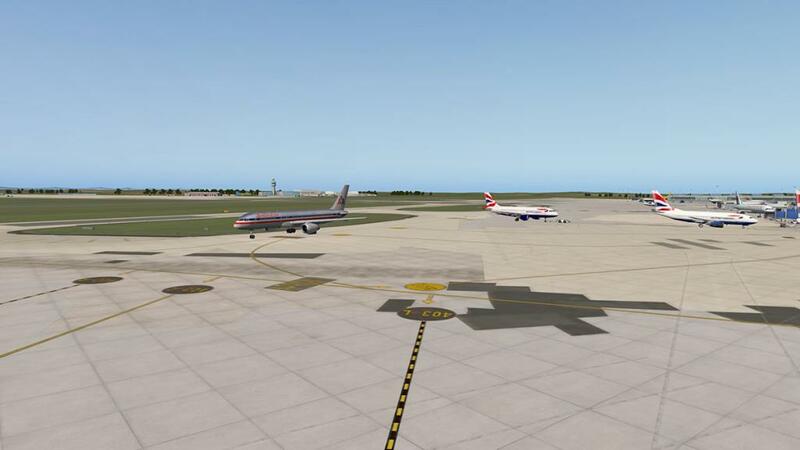 There is nothing stopping you having two aircraft leave at the same time as they do in real aviation departures. 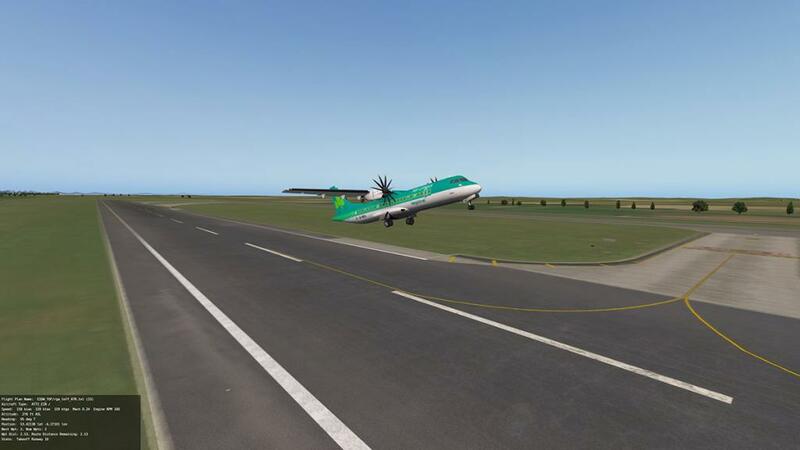 This will change the whole way the plugin operates and the airport will be more realistic in its operation. This article is only to represent the set up of WorldTraffic... or to just get your airports buzzying with aircraft and animations. 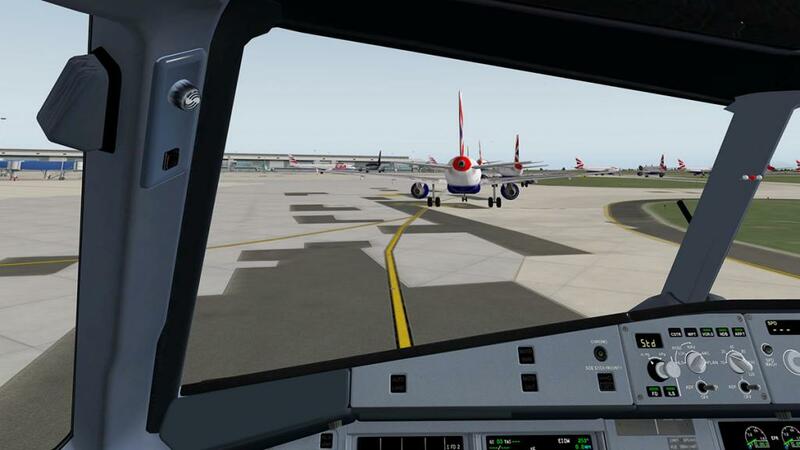 There are many other details to cover and X-Plane Reviews will cover that in another post soon as well as using the ATC, and show you how to get the very best from this powerful X-Plane addon. When running and certainly at a very large hub or airport like London Heathrow. World Traffic change the whole concept of an exciting working airport from the cockpit. It can make for a more realistic simulation (and more workload for the pilot) but totally creating a more immersion of a world we love to be in and those A380's are certainly big huge aircraft. 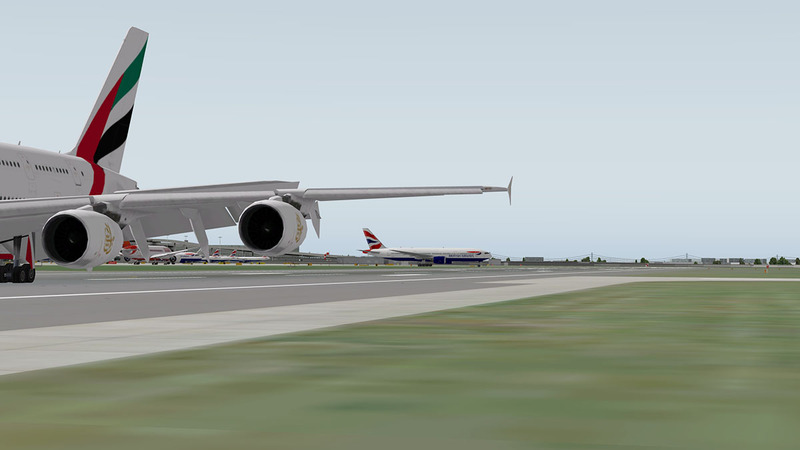 You can download a World Traffic Demo version that covers the X-Plane Default area of KSEA - Seattle to see how it all works. 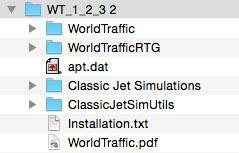 To use World Traffic in its full capacity you need a key (after purchase) that will be emailed to you from (Classic Jet Simulations) to install within the plugin to make it work. Now with Random traffic generation based on an airport definition file specifying traffic type, connecting airports, and traffic volume to allow you to quickly generate air traffic for your favorite areas. Sample flight plans and ground routes are provided for KSEA. These illustrate almost all of the functionality of the application and may be used as examples for your own flights. Several default aircraft are provided with many more to come. Users may create their own aircraft as well. 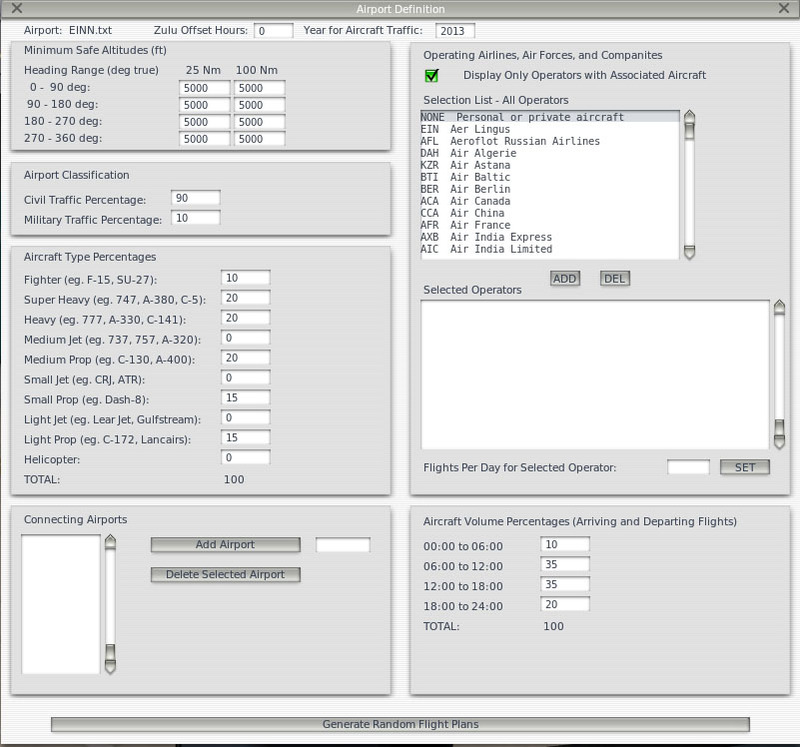 Flight plans can be grouped into zones to enable/disable flights for a specific region or to enable/disable flights for a specific vintage of aircraft. You can organize the flight plan folders however you wish and enable or disable whatever regions you are interested in. Custom sound engine with directional, multi-track aircraft engine sounds with doppler shift. Simple ATC system to allow you to interact with the World Traffic application so that it is aware of your position and can vector you and and assign you arrival/departure runways. Flight information window allows you to quickly find active flights, flight information about that flight, and it lets you view that flight with the track camera. 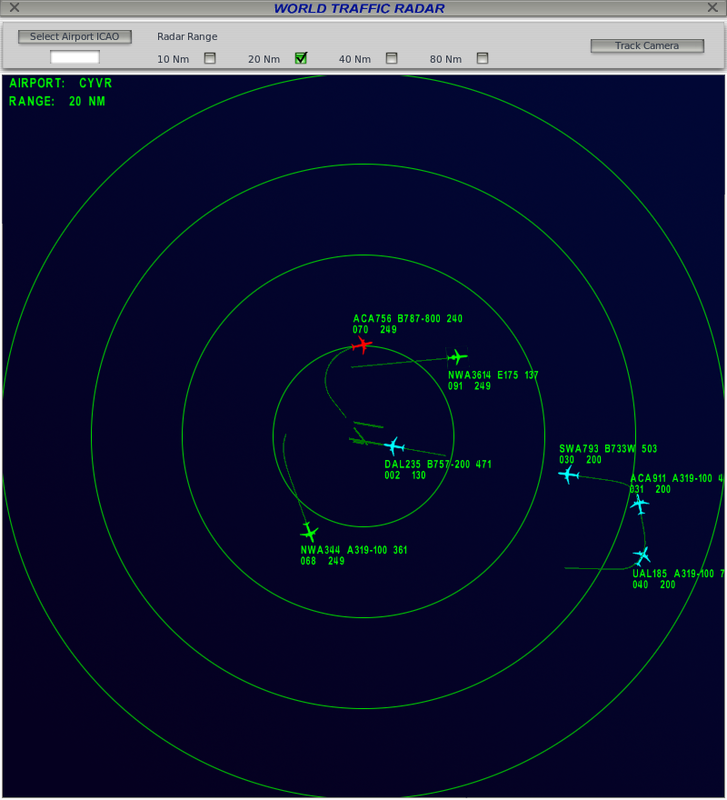 Collision avoidance features for ground traffic so aircraft hold for approaching and departing aircraft, aircraft will overshoot if they are too high or too fast or if there is a plane on the runway, and planes will enter holding patterns if the airport is too busy or their crosswind landing limit is exceeded. User-defined flight plans to specify the flight path of an aircraft or a formation of aircraft. Settable altitudes for each steerpoint in the flight plan where altitude can be in feet above sea level or feet above ground level for terrain following flights. Flight plans can be defined for specific aircraft tail numbers so that a specific aircraft can be defined to follow a multi-leg route. Simple, tunable flight model using aerodynamics and ballistics equations from the NASA web site to provide a natural looking flight model accurate enough that you can follow the World-Traffic controlled aircraft. Wind and turbulence affect aircraft so that they will bounce around in turbulence and crab into the wind in flight to maintain desired headings. Afterburner thrust is settable so afterburner-equipped aircraft can accelerate quickly when required, perform vertical departures, and fly supersonic. Custom datarefs are provided to provide your aircraft with full animation of control surfaces, landing gear, canopy, nozzle, engine blades/prop, thrust reverser, lights etc. All types of aircraft lighting is supported and the lights will function correctly depending on the phase of flight and aircraft type. 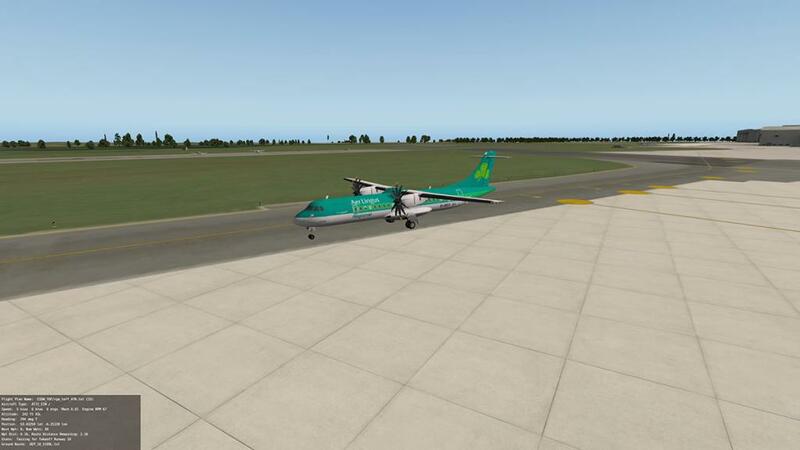 Landing lights will go on and taxi lights will go off when the aircraft taxis onto a runway for takeoff. The strobe lights will turn off when the plane arrives and turns off the runway. Cabin lights will stay on and aircraft doors will stay open for a few minutes after an airliner parks until the passengers are all off the plane. Most other lighting turns off when the aircraft engines are shut down. Thanks for the review! I just wanted to make a couple of comments. The only flight plans that the start time was set to -1 which means that the flights start immediately were the demo ones included for KSEA. The Flight Plan Generator actually generates random times which are determined by values that the user enters in the Volume Percentage boxes which roughly define how busy the airport is in those time ranges. Addition of callsigns to flight plans. This is mostly so the aircraft are identified on radar in a readable way like on flightaware.com which I modeled my radar after with arriving flights highlighted in blue and departing flights highlighted in green. If no callsign is specifed in the flight plan, one is generated based on the aircraft operator specified in the aircraft definition file and a flight number range also in that file. STAR approaches using the Navigraph database. Custom approaches created by the user for other airports not using STAR approaches such as GA airports in the mountains. Airport Operations file – This lets you control which runways are available depending on the wind, time of day, and aircraft types and weather conditions. For each runway you can specify what approaches are available (RNAV, ILS CAT I – III, etc). Depending on the navigation equipment installed in the aircraft (specified in the aircraft definition file), aircraft are assigned appropriate runways or excluded from landing if the aircraft nav equipment is not sufficient for the weather conditions. 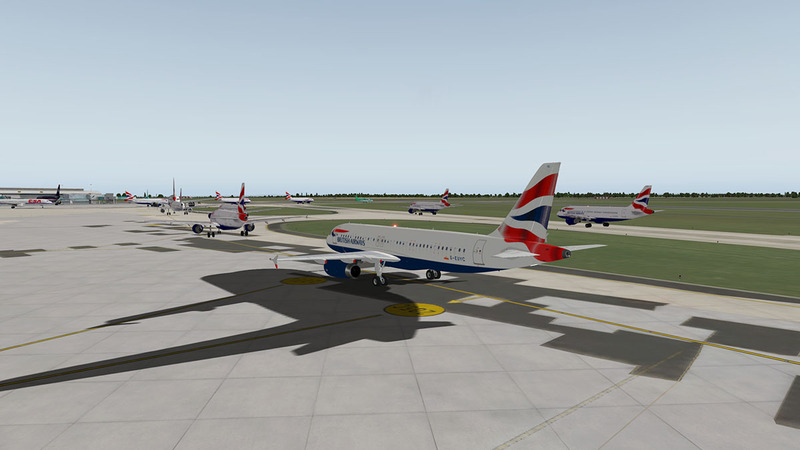 Unfortunately I couldn’t used X-Plane airport flows as not enough information was available. A min wind speed was required for wind rules and X-Plane flows don’t support various nav equipment types, only general minimums. Alternate Airport in Flight Plan – if the weather is bad or an airport is closed, aircraft will divert to the specified alternate. Fuel burn is now calculated so if you put the departure and arrival airports far away, the aircraft will take off with more fuel and require a longer distance. 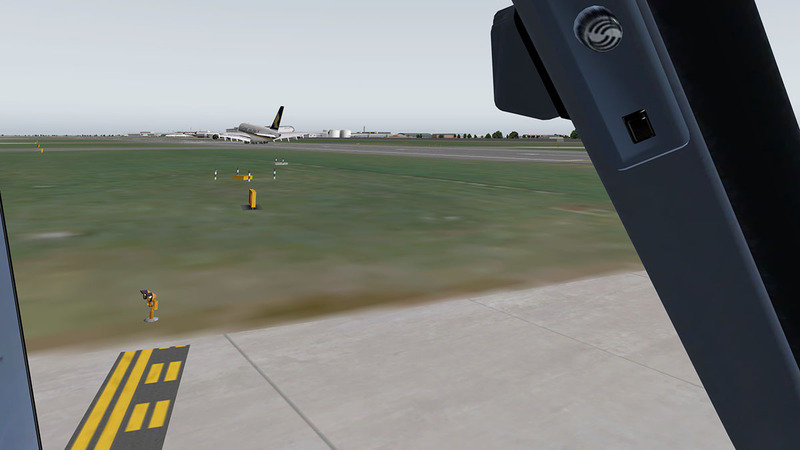 My flight model already uses basic force and ballistics equations so this is a cool enhancement seeing a fully-fueled 747 at close to MTOW taking 10,000 feet of runway to take off. All apt.dat files for custom scenery packages are now read in. I made a bad assumption before that the main X-plane apt.dat file had accurate and complete runway information, but this is not the case. Also there is AGRE by Chopinet which is proving to be a great way to build ground routes quickly. Chopinet is also building a flight plan generator of his own which takes a big global database of flights and generates flights compatible with World Traffic. 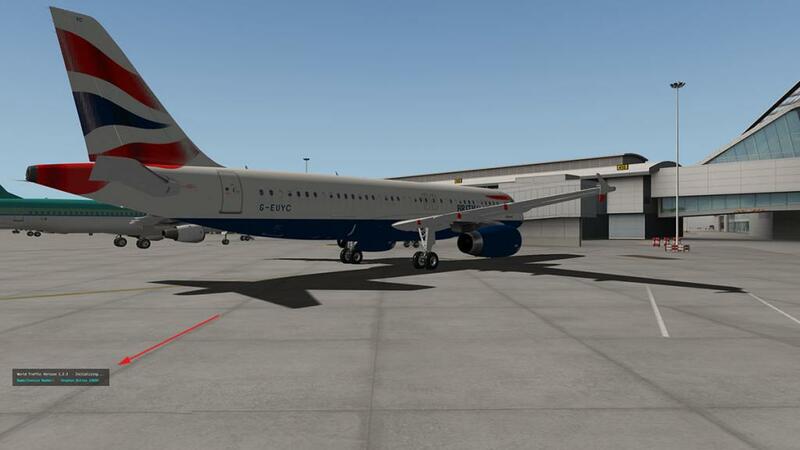 I’m also working with Bluebell on updating all of the FSX converted aircraft to support the new features so WT 2.0 is going to be a pretty decent update I think. After attempting to read the review, it seems to be a very complex program. And gives me the impression that me as the in user has to do a lot of work to set it up . That is cool, if you like that sort of thing. Because I'm a potential customer for the product, I've got a couple of questions. My premise is on simplicity, so my questions are simple and in my mind set is in the context of a general aviation pilots perspective and all the procedures there in. 1. Does the product auto generate traffic so me as the end user does not have too. 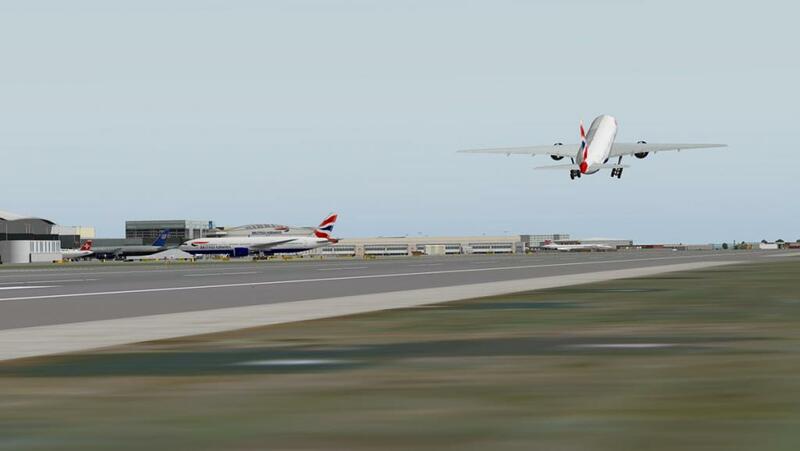 I say this in the context of, I want to start X-Plane get in my aircraft be directed to the active runway ,takeoff. Request flight following (VFR scenario) fly to my destination or be directed away from restricted areas or ATC gives me a approval or for transitioning through airspaces of any kind. 2. Does the program have the ATC tells me to change frequencies like they do in the real world ground, tower, approach, Center and be directed accordingly to avoid hitting other aircraft . Sorry that was kinda redundant from the previous question. 3. With IFR scenario can you on the fly change course, increase altitude or decrease altitude Which would have a fact on AI Aircraft generated. .
4. Does the products have a windows installer where it will put all the necessary files for the program to work out of the box in their proper places. Again, simplicity is King. If the product does things like this as mentioned you have my money and I would buy it, in a heartbeat. Again, I appreciate complexity, but for me as I stated above, I just want to start X-Plane and fly. I'm just looking for ATC interaction that we currently do not have with X-Plane. And having extra aircraft flying around which appears this product does, that is a good thing but in an auto generated capacity would be the way to go. Thank you all for taking the time to read this, and look forward for everyone's feedback. "There's an old saying" Keep it simple and the product last forever, make it too complex and becomes too difficult and tedious to manage. Hi Dionsol... WorldTraffic v2 is coming out soon as noted above, and X-Plane Reviews are doing a full comprehensive overview with the breakdown on how to create and manage WT files and routes. I doubt it would become a very simply system because what it has to do is very complicated. In saying that it is as simple as it could be, and once you do understand the basics it is quite easy to add to and create. ATC at this point is very basic, and just really covers taking off and the landing phases and you connect with the ATC via the menu and not the radio, note that v2 will have SID/STAR involvement and that will make it very interesting and powerful. Q4, is yes all the main files are installed within the X-Plane main folder, yes they are all quite simple to store and save to, however you do need to have a bit of a admin system to make it controllable and understand in the fact the Random route generator will generate and (I mean a lot, of a lot) of flightplans you don't need or require. So you need a bit of a filtering system, I have found one that works and that will be in the overview report. Thank you SD for your timely response. And I appreciate in what you stated. I think all of us as X-Plane pilots are hoping for a product that we can interact with the ATC as smoothly as possible and realistically as possible. 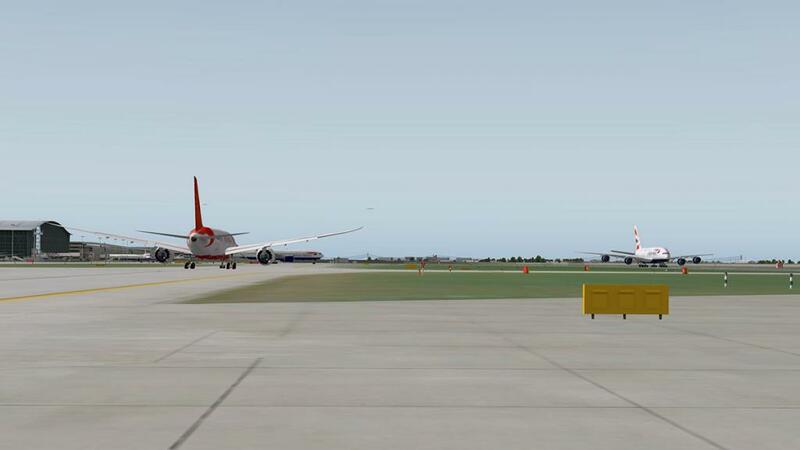 Most of the arguments centered around that topic generally end up being "use VATSIM". And a lot of us if we wanted to use that service, we would have been using it already and that conversation would not be happening. I guess I'm just on the fence of traffic generation quick and easy so there's more time spent in the air flying than having to set up the world around you. I have no problem with setting the world around you, just for me I am more in the camp of loading up X-Plane and let's go. I guess it's because I've become an old SOB, and just want to enjoy flight and all the things that are involved when you're in the cockpit. Again thank you very much for the timely response, and I'll be keeping an eye on the product once it comes out and by that time we shall see the features ahead of us in what can be done with the product. World Traffics awesome! In my humble opinion, it totally changes the experience in X-plane for the better, adding a sense of realness to airports and airspace. It's really fun. Sometimes I pause at airports and just watch the planes come and go in awe. It's very convincing. Of course, flying with all this traffic is really a treat, too. World Traffic is not diffcult to use. The random traffic generation is a great way to fill airports you may frequent. If ground routes do not exist for a particular airport, there are some free 3rd party tools that allow you to create your own ground routes to/from various gates and taxiways. I have used a free visual ground route editor that overlays the paths right on the airport so you can lay out the routes perfectly between runways and gates. In addition to the excellent default aircraft with fully functioning lights, flaps, wheels, etc., there is a wealth of add-on aircraft for World Traffic with various liveries. World Traffic is a game changing add-on. Once I experienced it, I could not imagine flying in X-plane without it! Yes totally agree, I am a huge WorldTraffic fan... totally, any airport without WT is empty and cold, yes love it. 1) does world traffic work on all airports even with out any terminals and buildings installed, or with very badly made scenery for example the Hong Kong scenery? 2) does the airport which you want world traffic to be have to have auto gate and working gates for it to work? 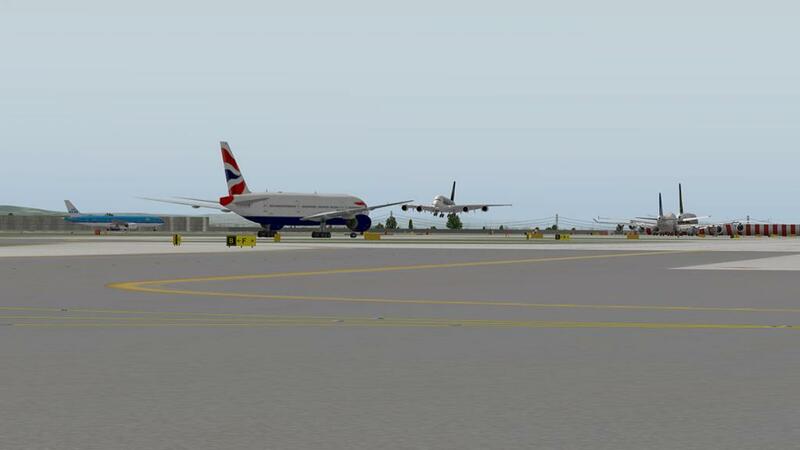 3) will the other traffic act like normals IA and try to cross the runway when you are on take off role/landing or are they made to hold short until you pass? 4) do the aircrafts fly routes with other planes? 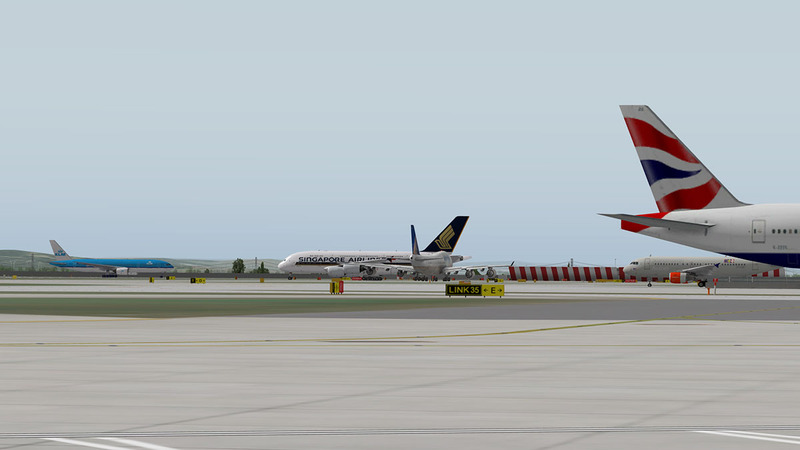 for example im doing a flight EGLL-EHAM, will there be other planes cruising at the altitude that i am at? First I would wait just a little longer as a new version of WorldTraffic is due anytime now with some great new features, so that will be better value for your money. On your questions 1) Yes but you have to insert the ground routes for that airport... If there is no ground routes then you can make them yourself if you want that airport. The ground routes are not built in unlike the X-Plane A.I. routes but I think that the next WT version does indeed use the built in X-Plane ground routes as well. But the idea of the custom made ground routes is that you can adjust them to that custom airport for perfect alignment and how you want the aircraft to move around (airport flows) and stands/gates exactly. 2) no WT is totally independent... 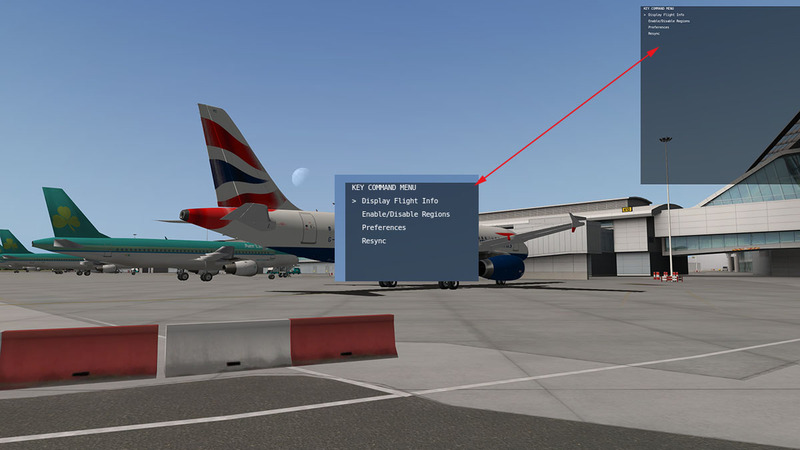 The autogate is a separate plugin and only works with your aircraft. 4) yes, you can compile the perfect route say EGLL - EHAM and follow the aircraft on that full route or watch it on the radar. If it is coming the other way then yes you will see that aircraft passing by. Note the aircraft will use the correct SID and STARs at each airport and the landing direction is noted by the wind direction heading. So you can see there is a triangle of traffic between just three airports, this way if you use any of those three airports then the WT traffic will be present and aligned to your own uses.